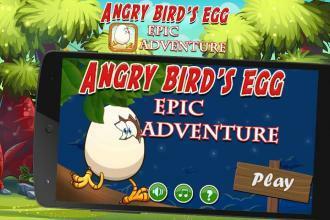 it is an egg running game in which an angry egg is on the run or run around a cool world.if egg knock downs anything game will over.use your game management skills and help egg in survival.game provides you wars between world and egg and you will help the egg to survive.the story why the egg is angry, hen hatch an egg but before bird comes out a little chicken crack the egg. games app with cool play. free game download. **** game with fun to play features **** you will love it if you like fighting adventure games. avoid bouncing attack of spikes coming out of ground. cool angry bird 's egg game with a cute egg baby. save the egg from cracking down. 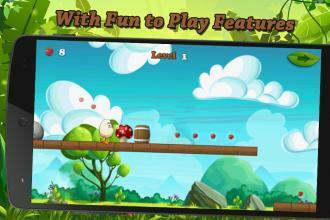 it is a game like tapping games with free adventure ( offline adventure ). game contains different words and levels to play.by which you can play hard level game, easy level game or a normal level game. you will love this free game.